With most of his career spent involved in the commercial and technical management of chemical tankers in international trade, Tommy has established a reputation as one of the worlds’ foremost chemical tanker newbuilding brokers. An engineering graduate from Maritime College, he has excellent connections with international charterers and chemical tanker operator/broker, which most of relationships were built during his career in London in 1980s. Of course he has firm relationships with Japanese shipyards, financiers, insurance companies and trading houses as well. Shizuo Watanabe has long experience working as a Chief Engineer for major U.S. tanker operators, followed by his appointment as technical director for a Japanese-owned fleet of stainless and coated product tankers. He is an expert in all technical issues relating to the transport of chemicals in bulk. With an established reputation as an uncompromising technical consultant and surveyor, he takes pride in the high level of scrutiny that he applies in all his activities. Richard’s career has been spent in various roles in the shipping industry, starting with 4 years working in the Business Department of Class NK in Tokyo, followed by 3 years in London covering various European and Asian clients for a shipping software company. 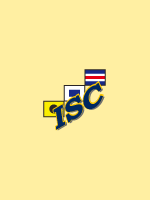 He joined ISC in October 2002 and has since helped to develop the company’s successful secondhand sale & purchase business, as well as assisting in time charter negotiations. He is also engaging in creating various market reports upon client’s requests. Having graduated from Merchant Marine University as a marine engineer, Yuji Ogawa’s seagoing experience included 4 years working aboard car carriers, container ships and LNG carriers for a major Japanese shipping company, before he came ashore to work as a damage and stowage surveyor. The next steps of his career involved taking responsibility for the technical management of specialized tankers such as molten sulphur carriers for Fuji Marine and the LNG Carriers for NYK LNG Ship management. He joined ISC in October 2014 and is working as the company’s principal technical superintendent, responsible for handling technical consultancy, plan approvals, inspections and high-value newbuilding supervision contracts for major Japanese and international clients. His career in Chemical Tanker field started in Tokyo Marine with 7-year experience (including 2 year posting in Singapore). In cargo chartering, ship chartering and S&P experience respectively. He joined ISC September 2014 and in charge of general support for New building project and S&P business. She joined ISC in May 2015 after working at a ship owning company for 10 years and experienced a variety of work assignment such as assistant superintendent and accounting. She supports a variety of services ISC Corp provides.